… it’s so funny how one minute we’re told that certain foods are bad for us and the next we’re told to eat them with relish… it reminds me of that wonderful Woody Allen film Sleeper where the main character wakes up in a future where cream cakes and pastries are good for you. Unfortunately we’re not quite there quite yet but both avocado and eggs were once on the no-no list. 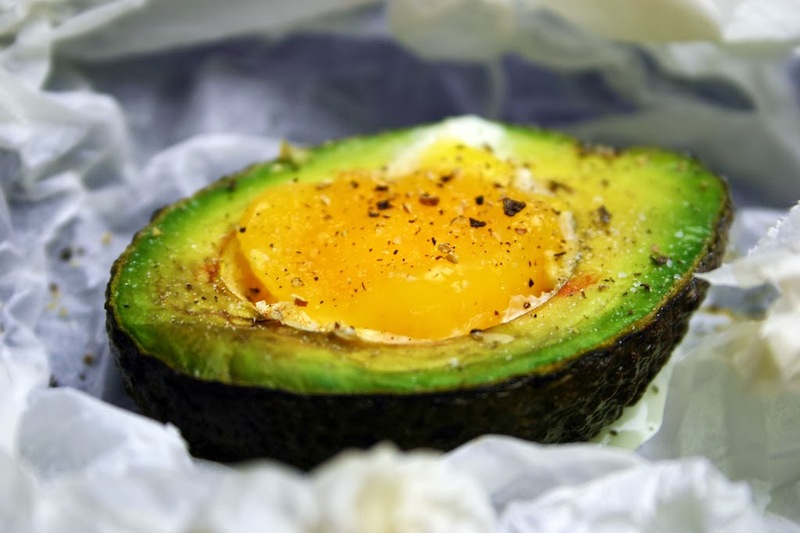 Now they tell us that eggs, in moderation are a great source of protein and vitamin D and avocado’s are packed with vitamins and the most wonderful of all the fats the monounsaturated fat. Previous Post: « sous vide fennel risotto – and a giveaway! That sounds delicious! Thanks Dom. Aren't the simplest things the best Dom. These look wonderful and filling. I have been seeing these around and have wanted to give them a try. Does the avocado keep its creaminess when it is bakes? I just went back and re read the instructions and I see that the avocado stays creamy, Good, I can't wait to make them. I would never have thought of this combination but it sure looks delicious! Love avocado…… Love egg…… Perfect! I have never cooked avocado but as these are two of my most fav foods this is definitely one to try. I've seen these around lately, I'm happy to hear first hand that they are delicious! I haven't had this for ages – Pete's not a big avocado eater. But now you make me want one again RIGHT NOW. p.s. Can I also recommend avocado ice cream? Did some for my blog once, was quite a revelation! Ooh I'd never have thought of putting those two flavours together, let alone cook avocado ! Great combination, but some of the Avocados you see on sale would scarcely accomodate a Quail's egg! 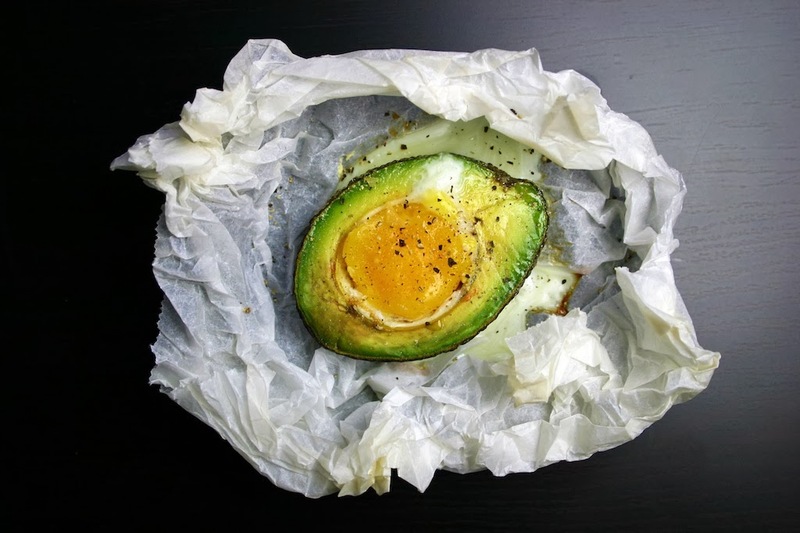 I have avocado and eggs on my grocery list for tomorrow… I so know what I'm making for breakfast now!!!! It sounds lovely. I love avocados but haven't had them baked before. Erm yes pinning this right now to my board called “put an egg on it”! Oh Dom, I love you, but warm avocado is a crime against food! How could you?! These are beautiful photographs, but I'm with Lucy, I've never got on with cooked avocado and they are so delicious raw. Oh boy, avocados are coming back in a big way. I tried this one a couple months ago and failed to make it look quite as appetising. You're right about the ratio though, something that comes along with time and lots of patience I suppose. Keep up the good work Dom! P.S. I love that scene in Sleeper.